Would you propose on a first date? Of course not, but that's how many businesses approach marketing. You get a lead and immediately start asking for the sale. In this episode of Building a Story Brand, Donald Miller talks with Brian Clark of Copyblogger about a better way to approach sales — with a strong content marketing strategy. He'll show you exactly how to understand your customer, forge a relationship, and build trust — all by sharing your expertise for free. Best of all? We get into the specifics of how to transform that trust into sales over time. If you know it's time to start or improve your content marketing, but you're not sure what to do next, this episode will take all the mystery out of it so you can build a stronger business with content marketing. If we approached our jobs the way professional golfers approach theirs, we'd all be millionaires. Meet Ben Crane, a PGA Tour golf pro consistently ranked among the world's best. Behind every stroke, he's packed countless hours of discipline, planning, intention, and sheer grit. When the pressure is on, he knows how to deliver. Thing is, the five habits Ben employs to excel at golf don't only work for golfers. They'll help you win big in any area of your life. Listen and discover how to hit your loftiest goals, whether they're for your business, your health, or your personal life. We say it in reference to customers, but it's also true for your team. Businesses don't just falter because they lack a vision. They falter because the employees don't truly understand what that vision is. As a leader, your job is to make sure everyone on your staff knows where your company is going and how they can help it get there. In this episode of Building a Story Brand, Donald Miller sits down with Ken Blanchard, the legendary leadership expert and author of ​The One Minute Manager, to talk about how to lead so people listen. He shares a three-part approach to crafting, sharing, and maintaining a powerful vision for your entire company. He'll inspire you to start communicating differently with your team, and you'll have a more mobilized, effective, and unified staff to show for it. Like it or not, we all judge each other by our appearances. What you wear makes an instant impression on your customers. It's up to you to define what that impression is. In this episode of Building a Story Brand, Donald Miller sits down with Toi Sweeney, an award-winning image and style consultant. She shares the must-have pieces men and women need in their wardrobes to communicate success. You'll discover how to use color, fit, and style — on any budget — so your clothes always work for you, not against you. With her advice, you can makeover your professional wardrobe in a few hours, feel more confident, and stand out for all the right reasons. Ever struggled to keep your customers coming back? Donald Miller talks with Chick-fil-A's VP of Brand Activation, David Salyers, to discuss how the beloved fast-food chain has built a multi-billion-dollar business by dazzling its customers. In this episode of Building a Story Brand, you'll discover how to put Chick-fil-A's powerful customer-centric principles to work in your own business. And when you do, you'll have more repeat business, better word of mouth, and lower advertising costs. If you're serious about customer service, don't miss this episode! Customer service matters more than ever in our super-connected world. One customer experience for your business — good or bad — may end up influencing thousands of people. In the Season 2 opener of Building a Story Brand, Donald Miller sits down with Mark and Brian Canlis of the world-famous Canlis restaurant in Seattle, WA. These brothers deliver unforgettable customer experiences night after night, year after year. They share exactly how they put their customers first — through radically unique approaches to hiring, team morale, profit, and more. Listen and get inspired to take your business' customer service to the next level. 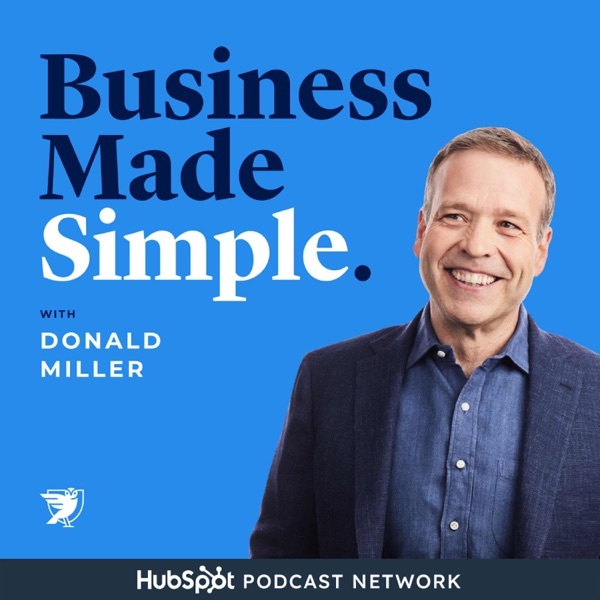 Donald Miller talks with special guest Michael Hyatt, the seven-figure leadership blogger and New York Times best-selling author. Hyatt shares his process for understanding his readers at a high level and serving them well. In this conversation, you'll discover how to get inside the heads of your prospects and customers and craft a message that always hits home. Visit http://buildingastorybrand.com/1 to get an unedited version of the interview with Michael Hyatt, along with a video of Don's website critique.